“Real Women Have Curves” will be presented by Dallas Theater Center at the Kalita Humphreys Theater April 26-May 19. Directed by Christie Vela and written by Josefina Lopez, the play was first produced as a film. Tickets are on sale now at DallasTheaterCenter.org. The play follows recent high school graduate, Ana, who dreams of going to college and becoming a writer. For now she is stuck working in her sister’s garment factory in East Los Angeles. The hours are long and the pay is low, but Ana grows to appreciate the strength, passion and dedication of the women she works with. The ladies struggle with such things as personal as body image and as consequential as the threat of deportation. But they still find joy, humor and beauty in their relationships with one another, and within themselves. 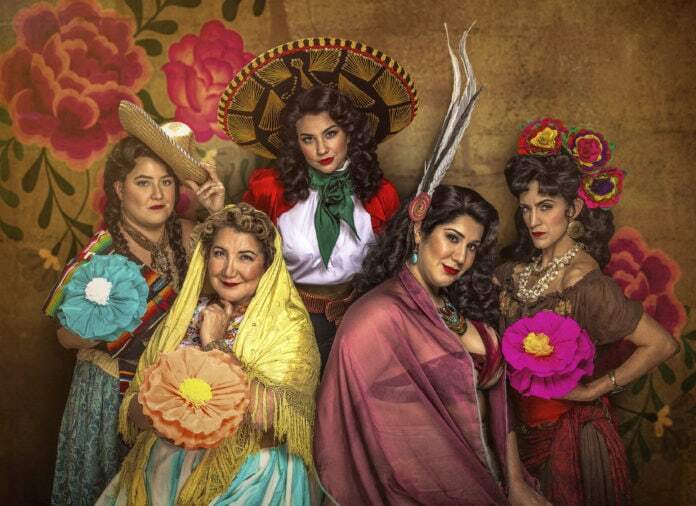 The cast of “Real Women Have Curves” includes Jamie Rezanour as Estela, Blanca Araceli as Carmen, Gloria Benavides (White Rabbit Red Rabbit) as Pancha, Vanessa DeSilvio as Rosali and Tatiana Gantt as Ana. Bringing East LA to the Kalita Humphreys Theater is set designer Arnulfo Maldonado; costume designer Danielle Nieves; sound designer John M. Flores (Fade, Gloria); lighting designer Amanda West (Hairspray, Fade) and hair and make-up designer Nicole Alvarez (Public Works Dallas’ The Winter’s Tale). Dallas Theater Center’s Come Early will take place before every performance, and Stay Late will take place after each performance. Come Early is a free, 30-minute informative talk designed to enhance a patron’s play-going experience. Given one hour before every performance, a member of the cast or artistic staff will share details about the play’s origins and context, as well as share insight into the creative process behind the production. Stay Late is a free, brief, post-show conversation with a member of the cast about the show. Patrons will engage with the artists, learn about the production and be able to share their insights about the play in a lively discussion. Stay Late is presented by Wells Fargo. Support for “Real Women Have Curves” is provided by Executive Producing Partner Kimberly-Clark Corporation, Associate Producing Partner Toyota and Assistant Producing Partner PwC. One of the leading regional theaters in the country and the 2017 Regional Theatre Tony Award® Recipient, Dallas Theater Center (DTC) performs to an audience of more than 100,000 North Texas residents annually. Founded in 1959, DTC is now a resident company of the AT&T Performing Arts Center. It presents a Mainstage season at the Dee and Charles Wyly Theatre, designed by REX/OMA, Joshua Prince-Ramus and Rem Koolhaas. DTC also performs at its original home, the Kalita Humphreys Theater, the only freestanding theater designed and built by Frank Lloyd Wright. DTC is one of only two theaters in Texas that belongs to the League of Resident Theatres. The League is the largest and most prestigious non-profit professional theater association in the country. Under the leadership of Enloe/Rose Artistic Director Kevin Moriarty and Managing Director Jeffrey Woodward, DTC produces a seven-play subscription series of classics, musicals and new plays. DTC also produces an annual production of A Christmas Carol and extensive education programs. These include the National Arts and Humanities Youth Program Award-winning Project Discovery, SummerStage. Also included: partnerships with Southern Methodist University’s Meadows School of the Arts and Booker T. Washington High School for the Performing and Visual Arts and many community collaborations. In 2017, in collaboration with SMU Meadows, DTC launched Public Works Dallas. This groundbreaking community engagement and participatory theater project is designed to deliberately blur the line between professional artists and community members. The project culminates in an annual production featuring more than 200 Dallas citizens performing a Shakespeare play. Dallas Theater Center gratefully acknowledges the support of our season sponsors: Texas Instruments, American Airlines, Lexus and NBC 5.